Did you know that Christmas is a bit more than one month away!? I am very excited about this fact as Christmas is my all time favorite part of the year, but I am also a bit worried because the university semester is slowly coming to an end, therefore I have to finish many projects, write all tests etc! Anyways as I said- Christmas is only one month away, so that’s why I decided to put up this Ebay post now, because in this case you would manage to get these items in time if you decide you would like to buy them! And I think most of you might know that items from Ebay can even take up to 4 weeks to arrive! It took me a lot of time of finding the perfect Christmasy items & I am so happy with the result I achieved, I can only imagine how much fun is firing those crackers & drinking a hot cup of coffee with this hilarious mug + how cool is that Christmas planner? 🙂 + a lot of these items come in different variations and colors! So just basically grab yourself a hot cup of tea, sit back, try to just leave all the coldness & glommy weather behind and just try to embrace the early Christmas spirit with my little selection of Christmas goodies! I love that pillow!! 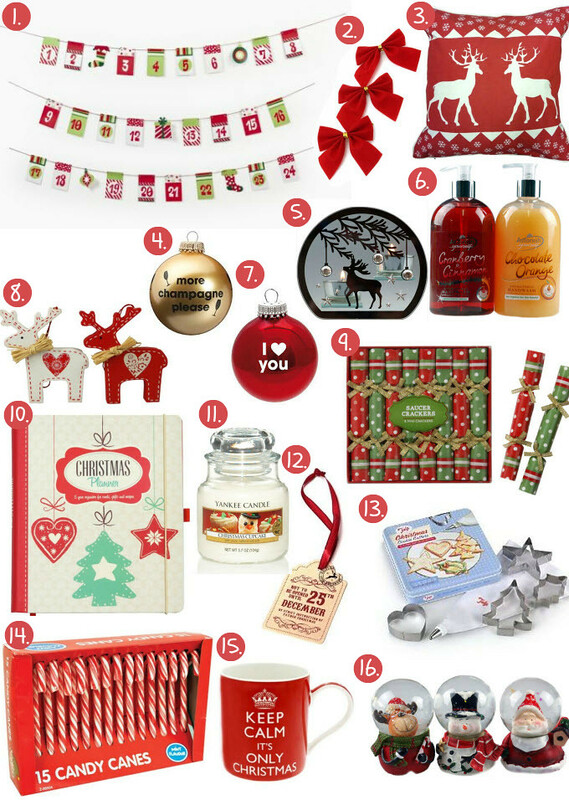 I am getting so excited for the Holiday's, I love all of these picks!! Have a lovely weekend Maddie! Such a cute post Maddie! I feel like November went by so fast and Christmas will be here before we know it! Love the pillow, mug and snow globe. lovely this things <3 !!! I bought some lovely scent to create that perfect Christmas atmosphere. It works. Totally puts me in the right mood for the festive season! I love the champagne ornament and the banner! So cute!! I love the mug Maddie. hahaha. And that pillow is so cute as well…All the best for your exams…You are gonna do great I know. 6,10 and 11 are my absolute favorites!! I'm so excited for Christmas! It's my all time favourite holiday! I love ginger bread for Christmas! aww so sweet! I love this post! I love ebay! It's such a great place to find deals! Thanks for these picks, i'll certainly be using them to get into the holiday spirit! those are such amazing pieces 🙂 I especially love that mug ! so many gifts and happy family moments. especially the countdown garland and mug. ooh, cute!! love these christmas items! love the snowglobes!! i should really try shopping on ebay! Really nice and cute selection for Xmas, I can't wait to be in December ! I want to smell that candle! I can imagine how sweet and christmasy it is! Looking at posts like that! I can't wait for Christmas!!! !